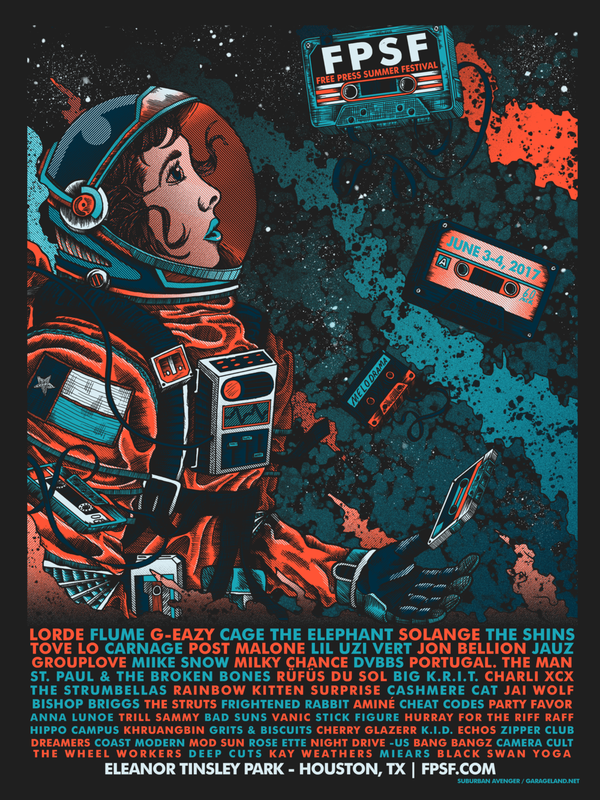 We were asked to design and print the official poster for the Free Press Summer Festival down in Houston, Texas. I've never been to Texas, but I hear everything is bigger there. Printing this was horrible, but I'm really happy with the finished design.